Due to a meeting of the Limerick Regeneration Agency, Limerick City Council and Dept of Environment 4 weeks ago. It has come to attention of MRA Chairperson Tom Daly that otters comes before peoples lives and of the residents of Moyross that a certain individual from meelick stood up at the meeting and said that there would be a lot of otters killed due to the progress of the road while us the residents of Moyross feel very sad about that but surely people must come before the community of the northside Moyross especially. Why should we have to suffer for this as this is morally wrong said Mr Daly. 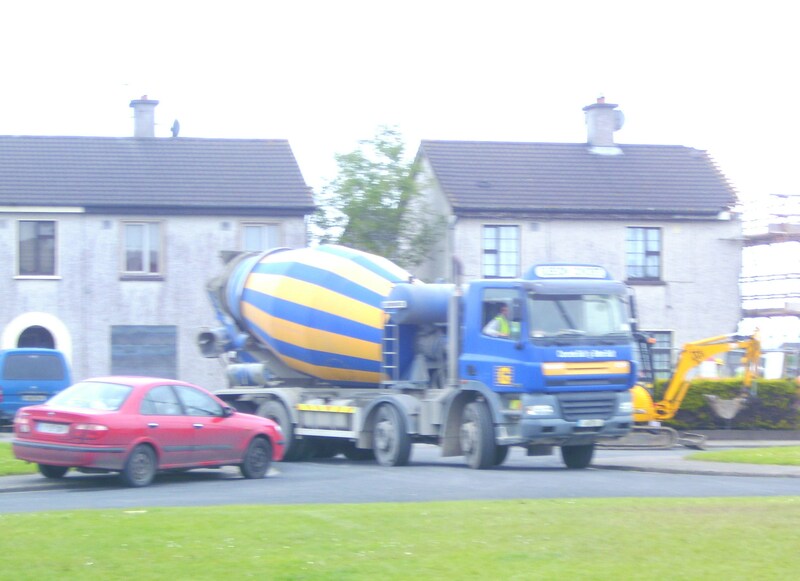 The whole process is delayed six months this is surely wrong as the new road in Moyross is very important in our regeneration process. Also they are worried about Brendan Kenny's comment on radio that he could not guarantee jobs for the people within the regeneration area's. Surely he can sit down with these people who are getting these contracts and put a clause in stating that they have to take on people from the regeneration areas at least 25 to 30 percent. There I also talk about an industrial zone in Coonagh which was promised to Moyross which is in the master plans but now it is only light industry for Moyross. We feel very let down the way things are going as the master plans and Fitzgerald Report is being pushed aside. We the people of the regeneration areas say to you Mr. Kenny and your agency this is MORALLY WRONG. So why not get the people of the regeneration areas and of Limerick off of the Dole and back to work. It has come to the attention of Chairperson Tom Daly that there was an awful lot of Health and Safety issues with Kelly's Demolition. The first day they were knocking houses in Delmege Park there were warning signs and barriers erected and staff manning the barriers which was great to see, but the following day they had no signs or barriers to give warning of heavy machinery at work as if they just didn’t care. We had a couple of very close calls the last time Kelly's were knocking houses in out square said Mr. Daly. One of Kelly's fence's on Mr. Ryan's property of 51 Delmege Park nearly split Mr. Ryan it also fell on Mr. Larkin’s tripod for holding his moving camera which can be seen on the documentary film "Round the Roundabout" by Nick Larkin. There was a very close call last Friday when one of the big machines driving from one side of Delmege to the other nearly hit my child. These mishaps can not continue as Health and Safety and people's lives come first. We will say one thing about Smiths and Tinneleys Demolition crew, they had barriers and heavy machinery signs erected and personnel working all through the demolition process. We would like to compliment them on that and also on their efforts in hiring local people and keeping health and safety issues in mind at all times. Where the MRA are happy with a lot of good work being done by the Regeneration but the most important thing at the moment for all the Regeneration Areas are Clinics for the Drug Addicts and advice centre's where we can try and stem the flow of suicides of young people in these areas. We need to get involved with Regeneration and the HSE and start getting these clinics up and running. HOW MANY MORE WILL HAVE TO DIE UNDER THESE CIRCUMSTANCES BEFORE PEOPLE LISTEN? 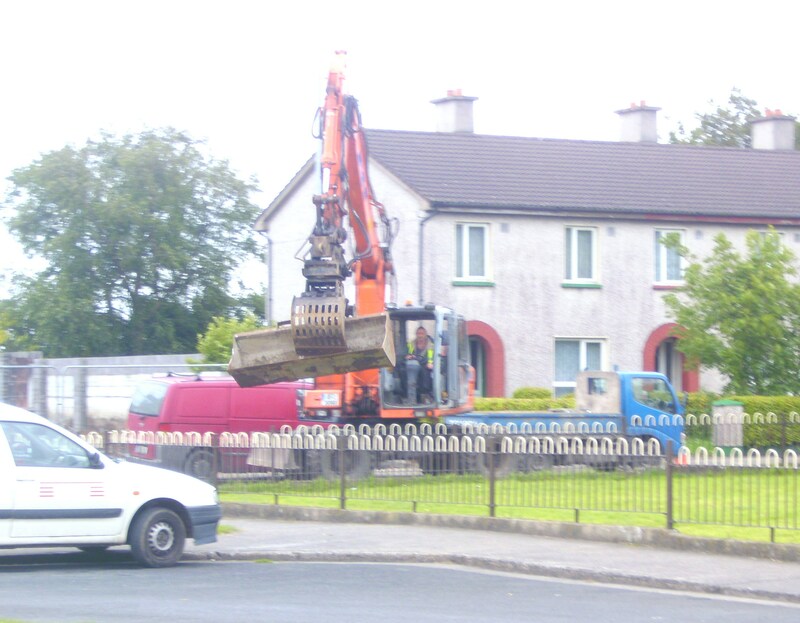 The MRA would like to thank the Regeneration on their demolition in Moyross. It is great to see the buildings finished and left in good order and we would also like to thank Tinneleys Demolition for the good work they are carrying out and hiring local people, it is great to see the locals involved. 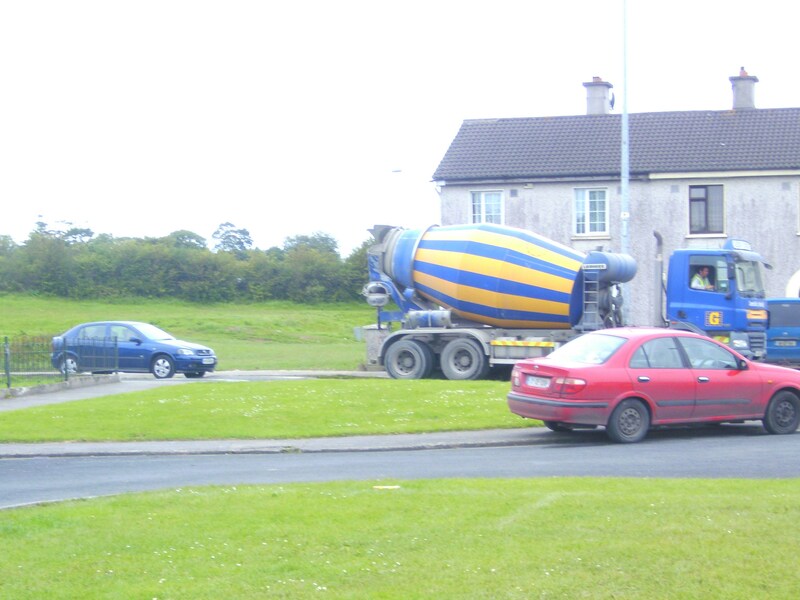 The Moyross Residents Alliance would like to thank Chris Duhig and his squad on the block work that they are doing. It is great to see our own local lads involved in it. There should be a lot more companies involving the local residents in the rebuilding of the regeneration areas. It has come to the attention of the Moyross Residents Alliance that Kelly's Demolition does not want to employ any residents from Moyross or the other regeneration area's, surely this can not be acceptable with the very high unemployment in these areas. The MRA would like to thank Seanie Hogan, Delmege Park Resident for the hard work he done in cleaning up all the front of Buckley's shop in Delmege Park which was left in an awful state, broken slates thrown all over the road. Keep up the good work Seanie. 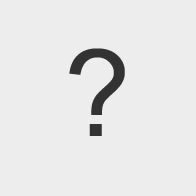 The Moyross Residents Alliance would like to let people know that the proposed buildings in Cliona Park is put on hold for the moment.